Dennett, B. and Howitt, B. (2014). Oxford insight history 8. 1st ed. South Melbourne: Oxford University Press. Map illustrated by Gillian Tyler in Stein, R.C., (1996). The Aztec Empire. Cultures of the past. New York, Benchmark Books. The worldview of the Aztecs was similar to the subsequent Spanish invaders in that both cultures believed that conquering other nation groups made their nations stronger. The Aztecs expanded their empire by conquering and controlling surrounding city-states and tribes. The Aztecs used their armies to force them to pay tribute (a tax in the form or goods or labour). Over time, the Aztecs conquered everything from the Pacific to the Gulf of Mexico. Although the rulers at the Aztec capital Tenochtitlán did not rule directly over all these cities, they were all related by trade, common religious celebrations, and the payment of tribute to the capital. The Aztecs were an agricultural society. The main crop grown was corn (maize). They also grew beans, chilli peppers, squash, vegetable pears called chayote, tomatoes, limes, cashews, peanuts, sweet potatoes, avocados and of course chocolate. The Aztecs domesticated bees for honey, and turkeys and ducks for meat and eggs. They also ate guinea pigs and even dogs. They fished and hunted animals such as deer, rabbits, iguana, fish and shrimp. Even insects, such as grasshoppers and worms were harvested. These various types of meat, however, only made up a very minor part of the Aztec diet. 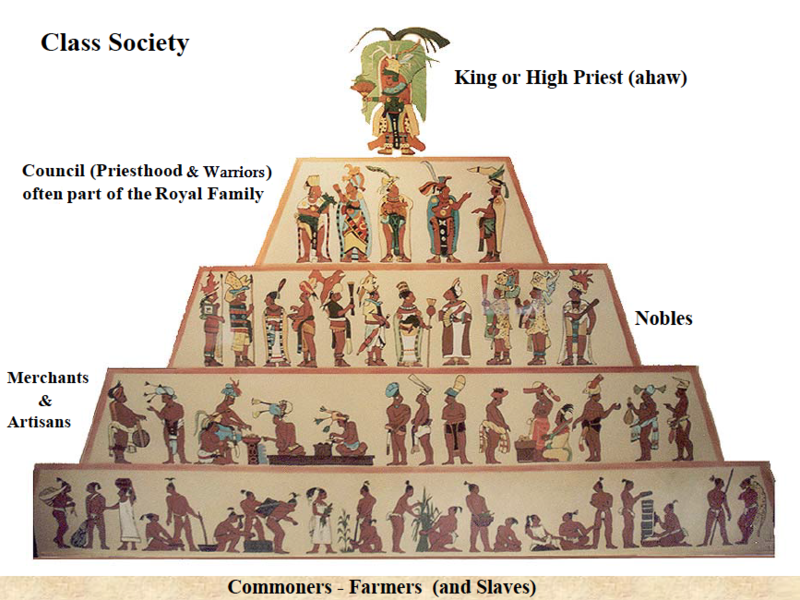 In Aztec society, people had clearly defined roles. These roles were aligned with the social class into which they were born and determined how Aztec men and women lived. The social structure was also identified with boys and girls. Boys would receive a wider education than the girls and were taught how to fight and become a leader. Although, the girls were taught to cook, take care of a family, run a home and craft. The women did have a lot of power in the society but was mostly kept a secret. Two common ways to move up in the ranks of society were through the priesthood or through the military. In Aztec times, the common currency was of course trade and bartering. The two most common way the Aztecs bartered was through the use of cocoa beans, made into chocolate, and cotton. It is interesting to note that the word chocolate actually comes from the Nahtul word xocolati. The value of goods would depend on their quality. The Aztec people had two calendars, the Xiuhpohualli and the Tonalpohualli. Both calendars would align every 52 years. The Aztecs believed that this alignment could bring disaster on the world so they held the special festival called the New Fire Festival. This was said to be one of the most important festivals for the Aztecs. Every fire would be put out and everybody would climb up on top of their houses to watch. The priests would dress up and climb the sacred mountain Uixachtlan. A sacrifice would be made at midnight and the priest would pull out the victim's heart then light a fire in their chest. The priest would then send around lit torches to light up every temple, school and house. The importance of the New Fire Festival focused on the sun's journey. The Aztec's believed if the festival sacrifice ritual was successful, everything would continue normally and the sun would rise again the next morning. If, however, the gods were not appeased by the sacrifice, then monsters would come and devour the world. You are to collaboratively create a slide presentation. - You are going to be the 'Experts' and teach your classmates about your chosen topic using the slide presentation. - For ease of collaboration you are to create a shared Google Slides presentation for all members of your group to contribute to and edit. - Do the same for a shared Google Doc. - The Research pdfs at the bottom of this page should be used as a starting point for your research. - Design your Google Slides presentation of 8 - 10 slides plus your bibliography. Ensure to make use of any relevant maps, images and graphics that will help you to teach your topic area. 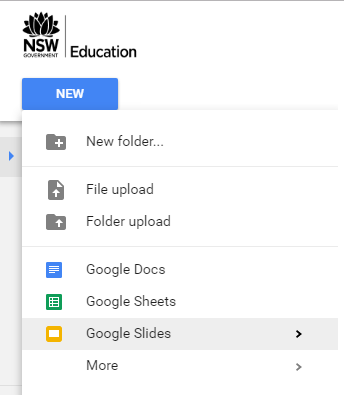 - You will also collaboratively create in Google Docs a one page handout that summarises the main points of your presentation. Watch: Video 1. Ask History: What Happened to the Aztecs? ​Dennett, B. and Howitt, B. (2014). Oxford insight history 8. 1st ed. South Melbourne: Oxford University Press. Darlington, R. and Greer, V. (2000). A History of people, events and cultures. Port Melbourne, Vic. : Heinemann. Darlington, R. and McCafferty, Y. (2016). Jacaranda history alive 8 for the Victorian curriculum. 1st ed. 5 Darlington, R. & Greer, V. (2007). History zone 1: World History (4th ed.). Port Melbourne, Vic. : Heinemann. 6. ​Burke, E., Dennett, B., Kruse, D. and Mirams, S. (2001). Aspects of the past. 1st ed. Melbourne: Oxford University Press. 7. ​Conroy, J. (1994). Ancient quest. 1st ed. Milton, Qld. : Jacaranda Press.